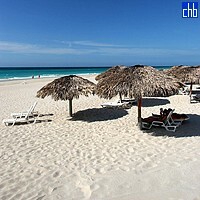 Hotel Cubanacan Los Cactus is located on one of the world's finest beaches, Varadero, Cuba. It is 155 km from the Jose Marti International Airport, Havana and 30 km from Juan Gualberto Gomez International Airport, Varadero. 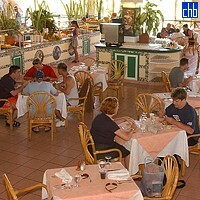 Hotel Los Cactus is a Super-Inclusive Resort for adults only: singles and couples 14 years and older. All meals, wine, local and international beverages, water sports, land sports, equipment and instruction, entertainment and other activities are included in one single price. 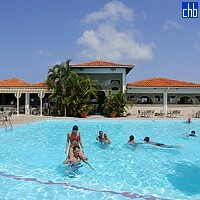 All over the resort there are roofed or open-air sections for sports, Jacuzzis, and a pool. 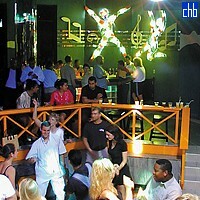 On the beach, you can enjoy the sea, practice water sports, taste delicious Cuban and international dishes, and sip refreshing cocktails and a variety of drinks. 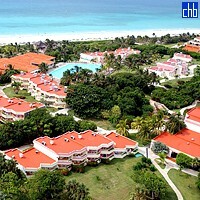 Hotel Los Cactus will provide you with the best accommodations available in all of Cuba on the Blue Beach of Varadero. 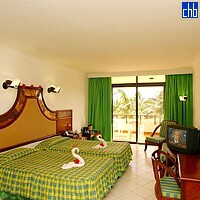 270 comfortable rooms divided into suites, junior suites, or tropical suites. 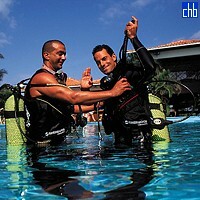 Water sports: Scuba Diving with beginner's initiation. Skiing, Sailing, Kayaks, Windsurfing - with instruction and equipment. Land sports: Beach and Pool Volleyball, Water polo, Basketball, Bicycles, Aerobics, Indoor games, Gymnasium, Tennis. Daily activities: Each day's schedule of activities is displayed in the Main Lobby, East Wing Lobby and Buffet Restaurant. Highlights of the Week: Bicycle Tours, Excursion, Sports Competitions, Dance Classes, Theme Parties (Pajama, Toga, Beach Parties). Games Room: Open 24 hours. Table Games, Ping Pong, Pool, Electronic Games. Gym: Free Weights, Resistance and Aerobic Equipment, with instruction. 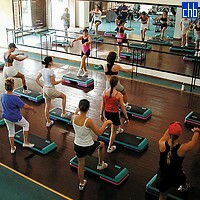 Aerobics Classes, Unisex Sauna. Jacuzzis: Three heated whirlpools located at the Swimming Pool Deck, Beach and Garden Bars. Sauna: Unisex Sauna located in the Gymnasium. Open daily 11:00 a.m. to 11:00 p.m.
Tennis: Four lighted hard courts, instruction, racquets and balls. 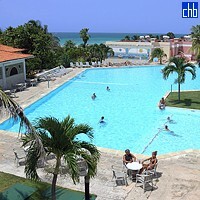 Hotel Cubanacan Los Cactus was previously known as Hotel Breezes Varadero.